San Jose State University is showcasing the diversity of its community as well as a dedication to providing students with global experiences Nov. 12-16 during International Education Week. The College of International and Extended Studies (CIES), led by the International Student and Scholar Services, has planned a week of fun activities including a CIES Open House, sessions on studying abroad for international and domestic students, workshops on Visas, and a Thanksgiving cooking class. See the full list of activities online. The week’s activities allow an opportunity for international and local students to connect, explore potential career opportunities, and learn about opportunities to study abroad. SJSU offers traditional semester-long study abroad programs around the world as well as shorter-term faculty-led programs that allow students to experience a new culture while earning credit toward their degrees. Summer 2018 faculty-led courses are available in such far-flung destinations as Costa Rica, Finland, China and Uganda, among many other locations around the world on topics such as health, anthropology, political science and history. 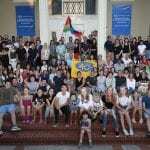 International Education Week is a joint initiative of the U.S. Department of State and the Department of Education. Learn more online. Yvonne Kwan, a second-year assistant professor of Asian American studies in the Department of Sociology and Interdisciplinary Social Sciences, grew up in a working-class southern California city with a sizeable Latinx community. 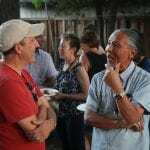 She said growing up, she learned little about Asian American history or culture during her K-12 education. 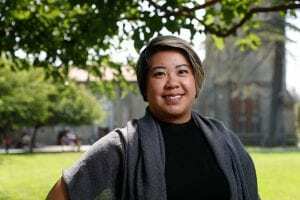 It was not until she took an ethnic studies course in college that this first-generation Asian American began to feel connected to her cultural heritage. She changed her major from molecular biology to ethnic studies. “Some children were born in refugee camps, but they are too young to remember,” Kwan said. Her book posits that while social trauma may not be verbalized or articulated, children of survivors can still develop the capacity to both identify with and experience the pain of previous generations. “The trauma of genocide can have an effect decades after the initial event,” she said. Kwan’s research has found that while many of the Cambodian refugees who lived through the genocide do not talk about their experiences, the transmission of trauma happens through the silences and fragments within the family. 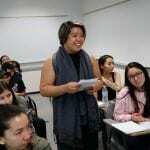 Since joining the SJSU campus in fall 2017, Kwan has been active on a task force that aims to provide more support for Asian Pacific Islander Desi (South Asian) American (APIDA) students. The task force, which includes faculty, staff and students, aims to determine what resources will be most helpful to students with these cultural identities as well as how to break down myths about the groups. 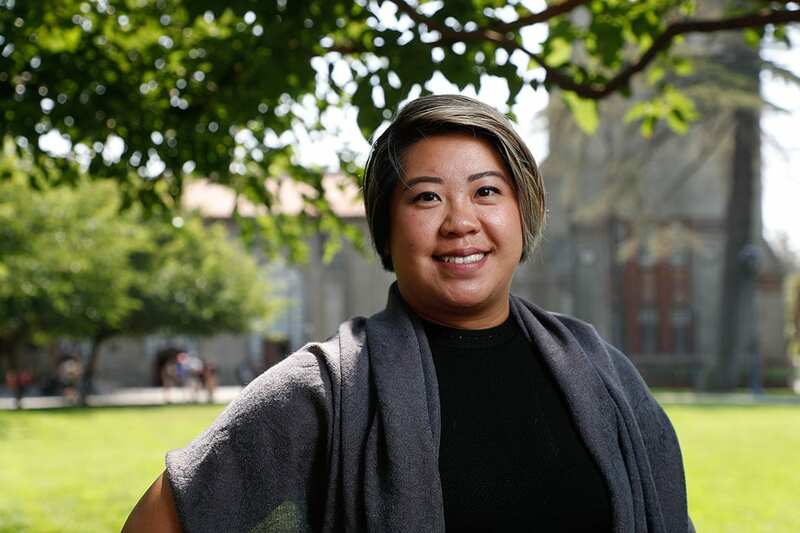 Both from her research and early work on the task force, Kwan said she sees a need to connect students to resources, whether it be helping them navigate academic advising or providing mental health services in a space where they feel safe. “Students don’t always know what they need and sometimes they don’t know what to ask for,” Kwan said. Hello everyone, my name is Floriberta Sario Perez, but I prefer Flor. 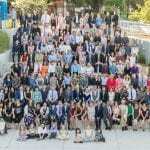 I am currently a third-year student at San Jose State University pursing a degree in Business, Management Information Systems with a graduation date anticipated by the Spring of 2021. I was born in Oaxaca, Mexico in 1998 and was the third child of Leonor and Gilberto Sario, as my older siblings Elizabeth and Rafael were already in the picture. Poverty consumed us all and my father made the hard decision to immigrate to the United States. At the time my father decided to leave, I was two and a half months old, but my mother told me how they had to splurge on one corn cob (corn for us was a luxury) and split half between my brother and sister to distract them before my father took off to an unknown destiny. The plan failed and my brother quickly found himself forgetting the corn and clinging to the bottom of my father’s jeans in an attempt to keep him from leaving. There was no other choice though “porque la hambre es canija (because going hungry is hard).” My mother joined my father only a year after he initially left. They both worked in the fields and saved the little they could so they could eventually bring my siblings and me to the land of opportunities. They had decided to wait until they could afford to give us all the luxuries we couldn’t even begin to dream of. But like any mother would, my mom found it hard to be without us so in 2001 my two older siblings and I were finally reunited with our parents and we were a family once again (regardless of the fact that we were still poor). As I find myself writing this, I can’t help but reflect on the impacts my identity as an immigrant has had on my life. It’s one of the reasons I decided to attend San Jose State as San Jose State is a designated Hispanic Serving Institution. It is one of the reasons I am a proud member and officer of Grupo Folklorico Luna y Sol, a student organization which champions higher education among the Chicanx/Latinx community through traditional Mexican dance. It is one of the reasons why I am a committed Student Success intern at the Chicanx/Latinx Student Success Center, a space dedicated to the success of Chicanx/Latinx Students. I used to be silently proud of my past but through a mixture of events and self-growth, I have found the strength and the need to share my story. All immigrant stories are different, but almost all share a similar phrase: “For a better life.” A life that I am still working on creating but have faith that I will eventually live. In celebration of Immigrant Heritage Month in June, San Jose State University’s Office of Diversity, Equity and Inclusion along with the University Advancement Strategic Communications and Marketing team collected and shared stories of Spartan students, faculty, staff and alumni who have unique and inspiring immigrant narratives. In addition, the university is highlighting research, scholarship and creative activities that enhance our understanding of immigration and contributions of immigrant populations to the fabric of our campus community and our society. See some of the photos posted on SJSU’s Facebook, Twitter and Instagram. Fernanda Perdomo-Arciniegas was on a path to become a lawyer in her native Colombia when she immigrated to the United States. 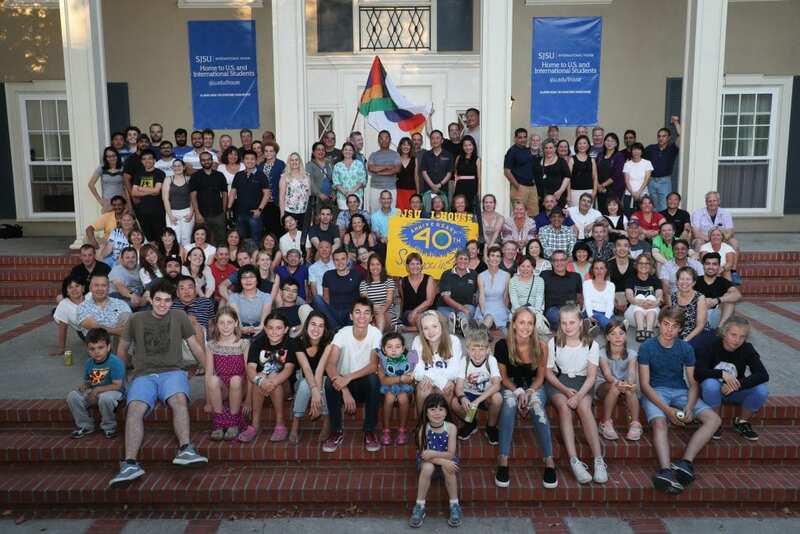 But when she arrived, in California, most of her university credits were non-transferable and she felt unsure about her written English skills. So she enrolled at West Valley College where she completed an associate’s degree in math while enhancing her language proficiency. She transferred to San Jose State University, where she earned a bachelor’s in mathematics/statistics in 2001 and a master’s in Public Administration in 2008. Now the deputy diversity officer for SJSU, she started her career at SJSU in 2002, working first in Academic Affairs in the math and biology departments for five years and then in Student Affairs, as director of Campus and Community Relations for 10 years. As a mother of two, she said she also wanted to learn more about the United States K-12 system to help her own children. 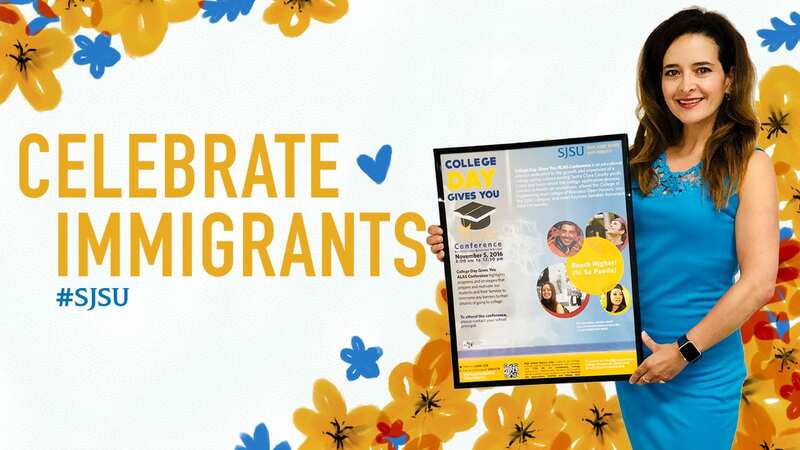 Perdomo-Arciniegas helped to create College Day, where families of K-12 students could visit SJSU to learn more about preparing for college, and also oversaw the Advancing Latinx Achievement and Success Conference. She helped to facilitate the Spartan East Side Promise, an agreement that offers a clear roadmap for admission for students in the East Side Union School District to San Jose State University. 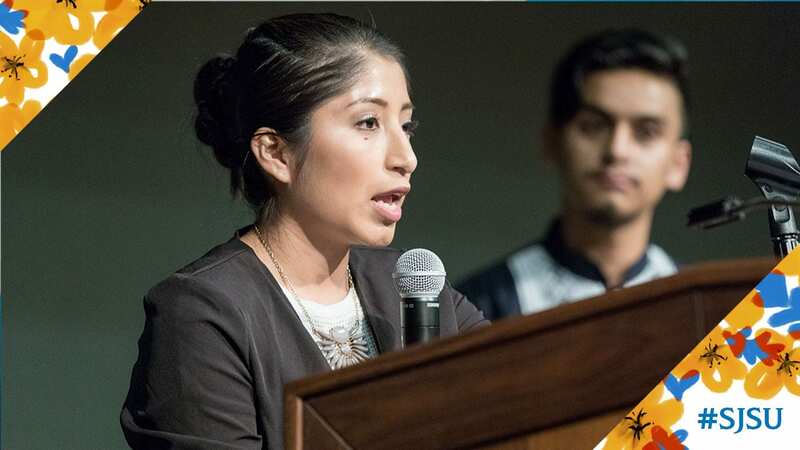 She found herself quite literally using that voice as a Spanish-language translator at times during community meetings between the university and neighborhood families who worried about the effect of impaction on admissions. 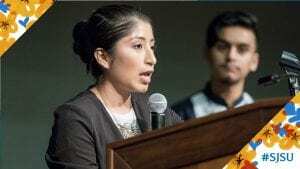 Through the years, she also found herself advocating for underrepresented minority students, specifically undocumented students. As the daughter of educated parents who was privileged to immigrate through legal channels, she said she has always empathized with undocumented students. And she also appreciates the importance of cultural traditions, no matter where one lives. She and her family continue to participate in Novena de Aguinaldo (Nine Days of Christmas), in which they pray, sing and tell a special story of the birth of Jesus. Different friends host each year, and the Colombian Consulate collects toys to donate to their native country. “For us, Christmas is always about family and it’s also a time to give back and be generous with our gifts, spiritual and/or material,” she said. Giving back is a mantra for Perdomo-Arciniegas. In celebration of Immigrant Heritage Month, San Jose State University’s Office of Diversity, Equity and Inclusion along with the University Advancement Strategic Communications and Marketing team collected and shared stories of Spartan students, faculty, staff and alumni who have unique and inspiring immigrant narratives. 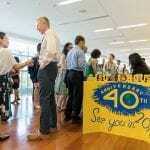 In addition, the university is highlighting research, scholarship and creative activities that enhance our understanding of immigration and contributions of immigrant populations to the fabric of our campus community and our society. See some of the photos posted on SJSU’s Facebook, Twitter and Instagram accounts.